Brand this Classic Champagne Magnum with your company logo and message to celebrate a special occasion or a special gift. A wonderful sharing size Champagne botttle which is equivalent to two standard bottles. 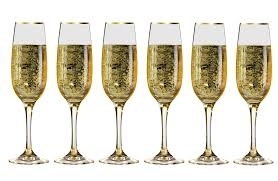 Our Classic Branded Champagne is pleasing, round, fruity and is an excellent aperitif and occasion Champagne. The Magnum is perfect for staff and client gifting, corporate special occasions and celebrations where a special bottle of Champagne is needed.